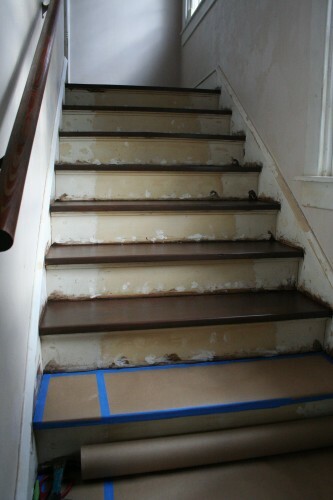 While my parents were here in town, they wanted to help with the stair project. 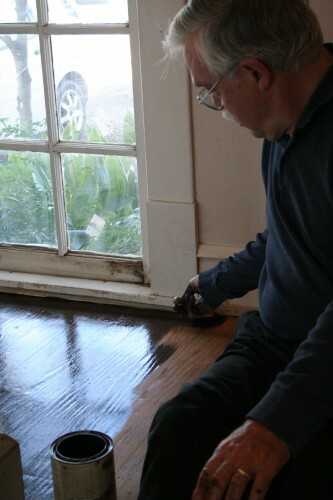 My dad helped to pull up some carpet during the first phase and then he waited for a few weeks while Kelly worked on the sanding part, which as I mentioned, took a lot longer than we had anticipated. 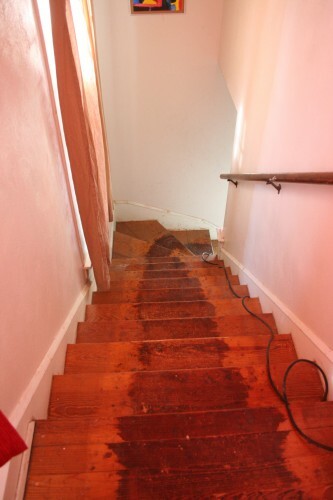 The plan was that my dad would come over in the morning after we had all gone to work and stain his way down the stairs and let it dry before we got back home from work. 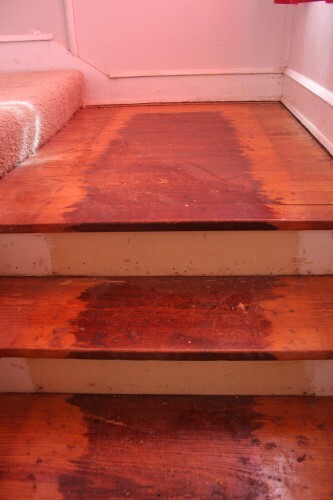 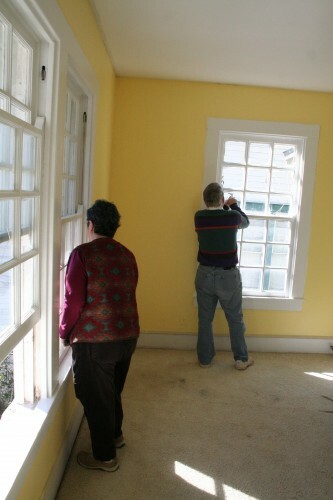 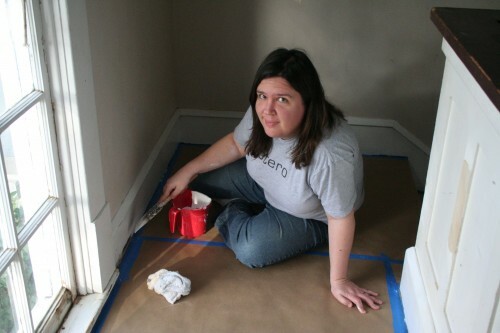 We had bought a water-based stain so that it would dry more quickly, and it really did! 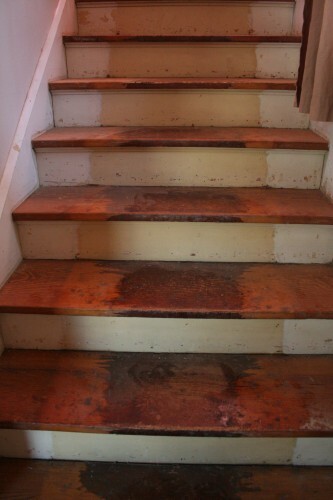 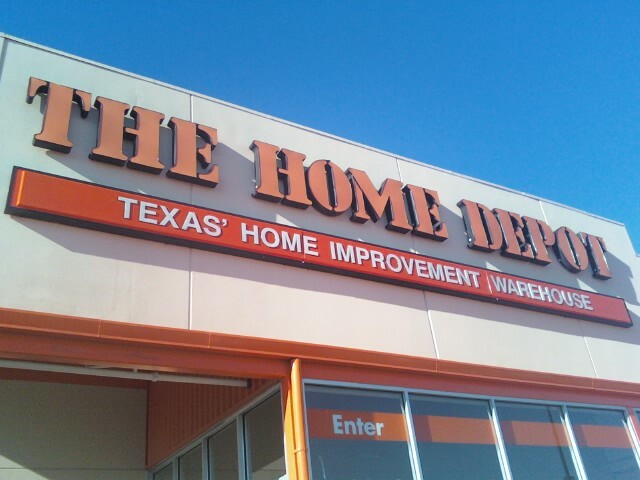 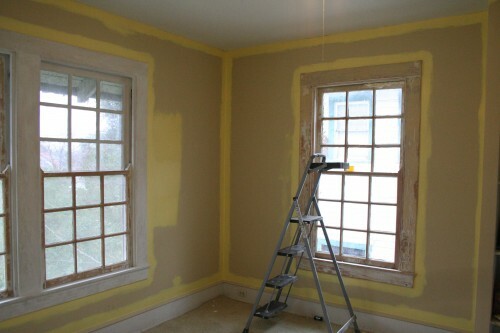 I was home from work one of the days he applied the stain, and it was dry by the early afternoon. 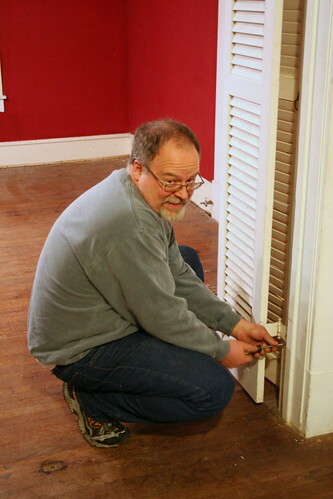 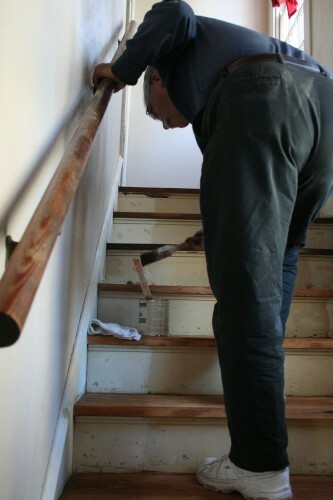 And since I was home, I was able to get some pictures of my dad in action, working on the stairs. 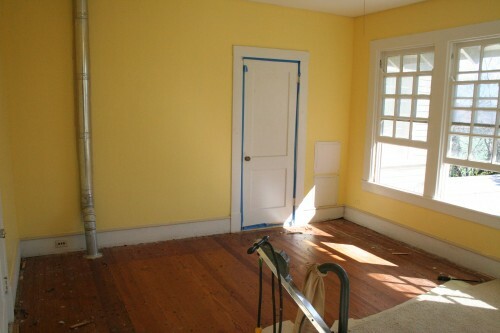 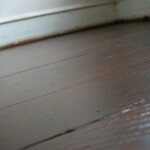 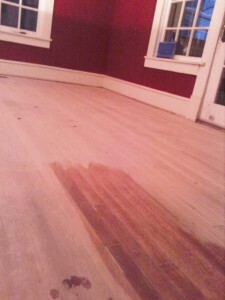 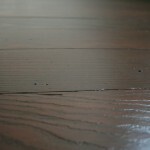 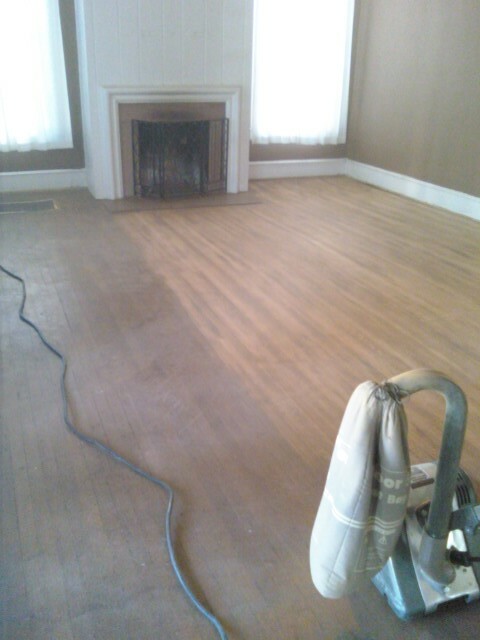 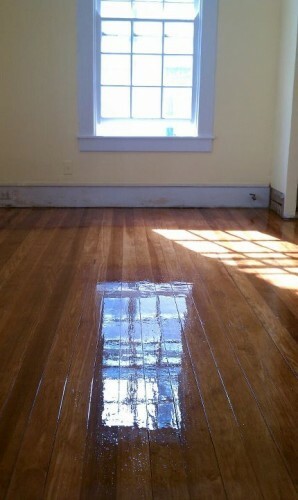 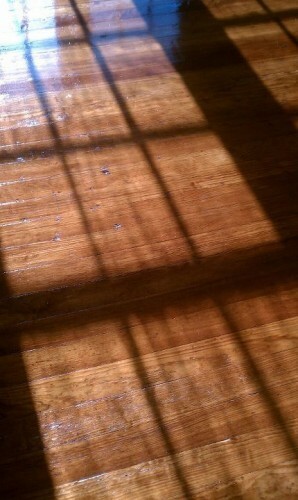 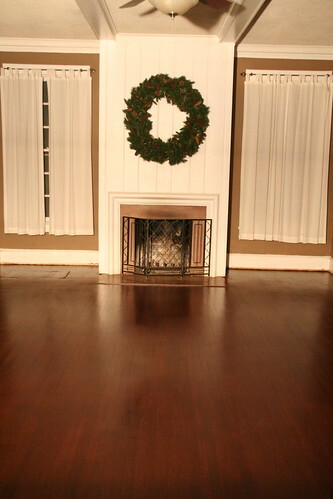 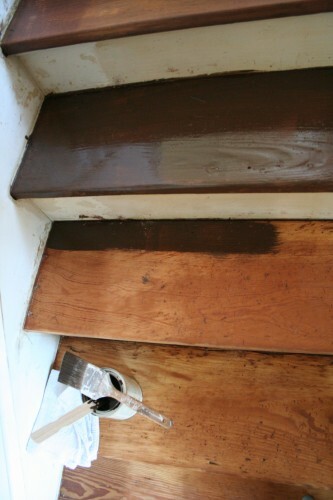 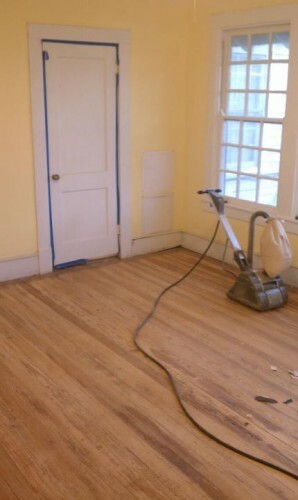 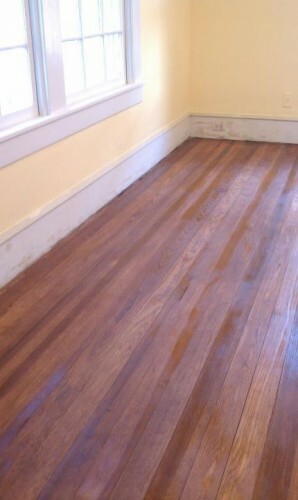 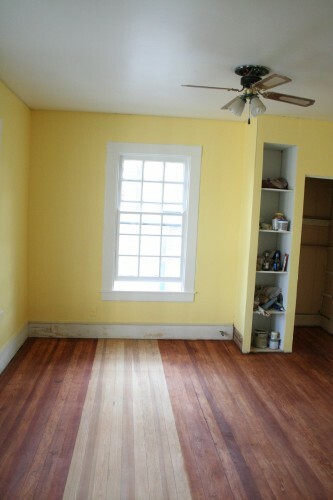 But we shouldn’t have worried – after the 2nd coat of stain, the color was perfectly even and dark and gorgeous! 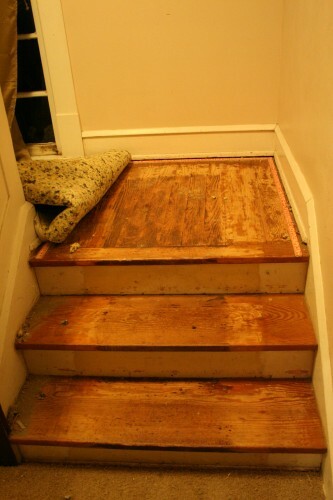 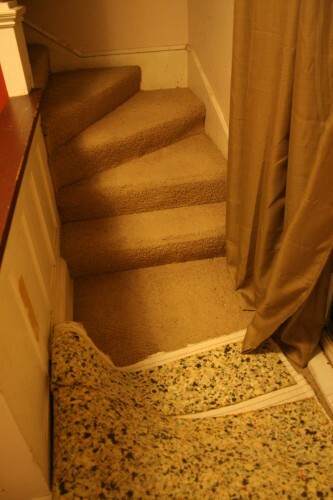 We began the process of ripping up the carpet on the stairs a few weeks ago, when my parents were in town. 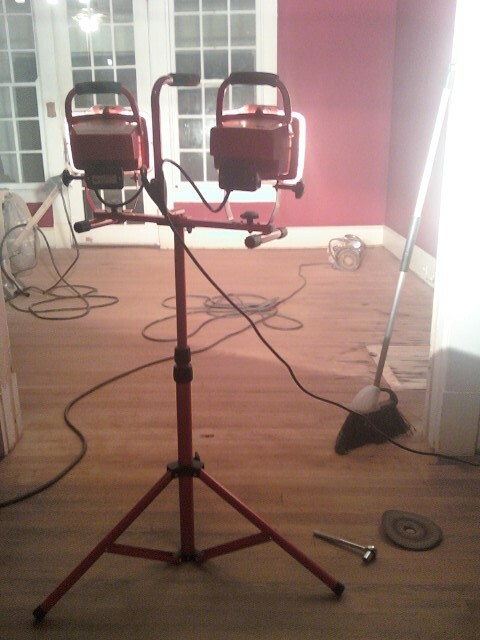 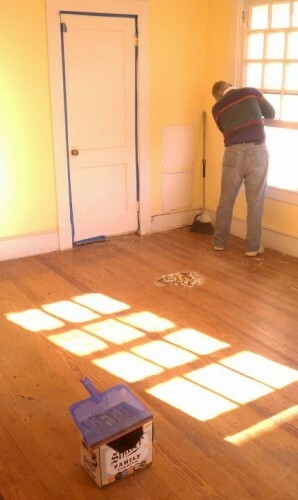 I was so glad to see that nasty carpet go. 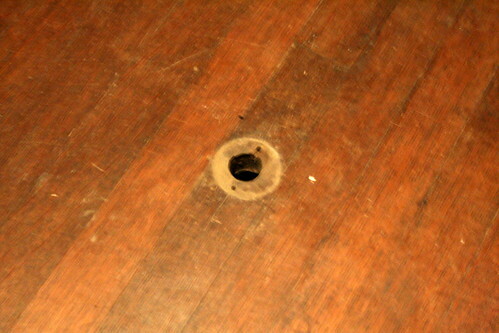 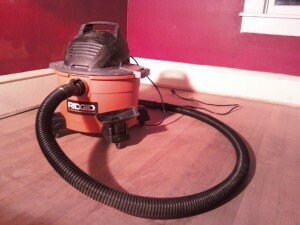 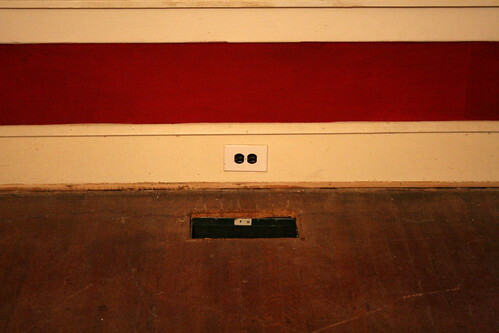 And we were very happy to find good wood underneath all that carpet! 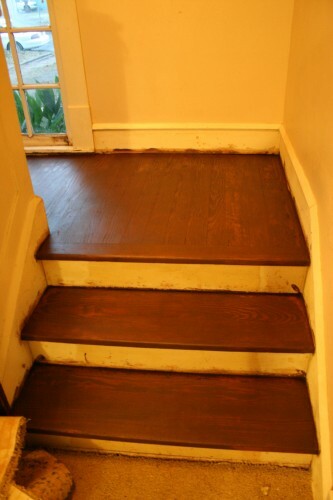 We also uncovered evidence that the stairs had previously looked like what we want to do with them: stained treads, white painted risers. 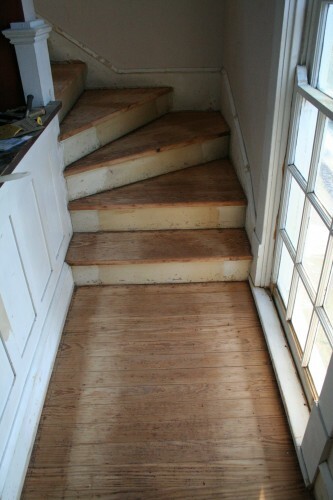 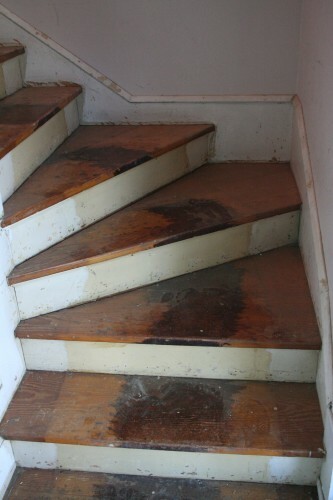 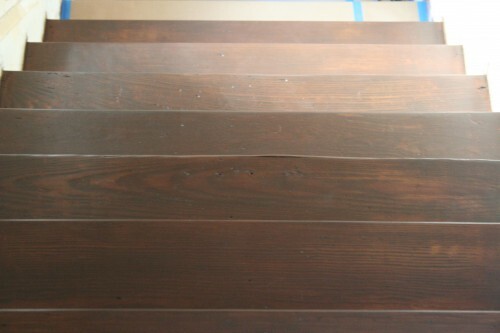 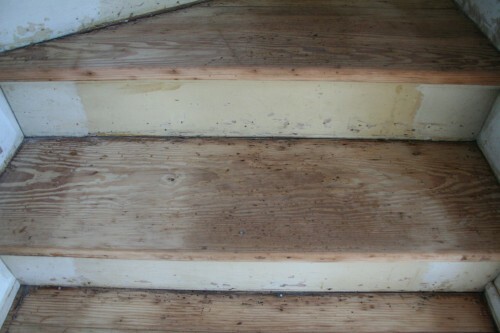 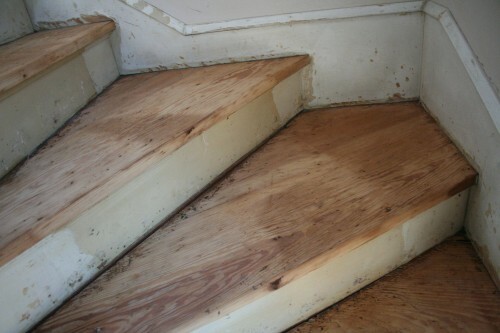 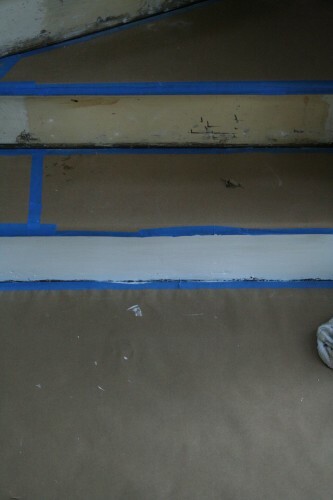 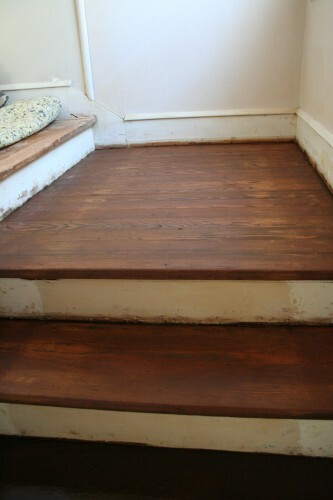 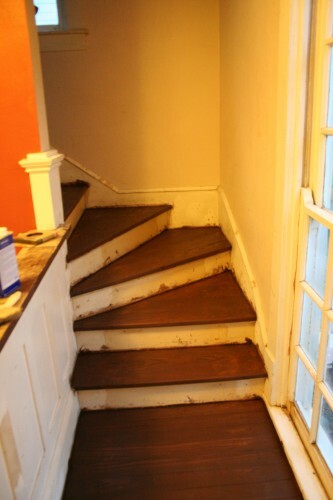 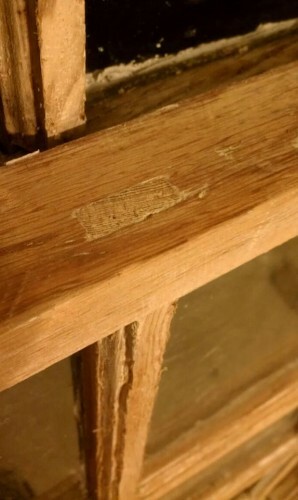 However, there had also been a runner on the stairs, which meant that there was a thick stripe of lacquer on the treads, which made the sanding process a lot longer than we had wanted. 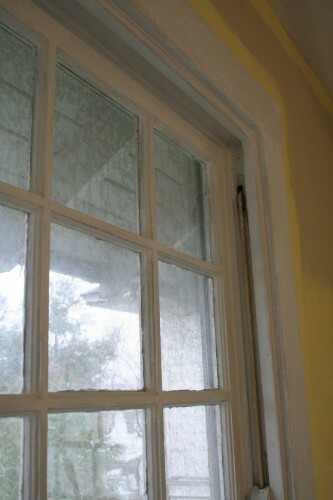 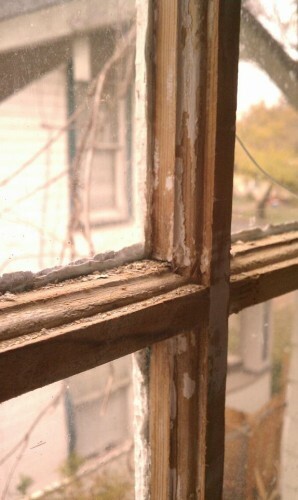 More about the sanding process in the next post!